A slab leak is one of the most serious problems your home will face here in Cedar Falls, IA, though it’s not through anything unusual about the pipes themselves. Rather, it’s the location that causes all of the trouble: a leak buried under (or sometimes inside) the concrete foundation of your house or porch. That means is can go for months or even years undetected and wreak all kinds of havoc in the meantime. Over time, leaking water can crack your foundation in two. A good plumber can usually correct the problem, either by digging into the concrete or (more efficiently in many cases) reroute the pipe so that the water runs through a more accessible path. But before that happens, you have to detect the slab leak in the first place, which can be tricky to do. Here’s a few signs to help you out. Slab Leaks: What Are the Causes of Slab Leaks? Some of the most frequent questions from our customers deal with the unfortunate intrusion of a slab leak within the home. A slab leak is a water leak below the concrete foundation of a home or property. These leaks are breaks in the pipeline that lead to a small or large amounts of water spilling out somewhere near the foundation. There are many reasons why slab leaks occur. The four most common reasons are: corrosion of the pipe, pressure placed on the pipe, abrasion or vibration within the pipe, and improper construction. We will break down each of these four reasons for slab leaks to give you a better idea of the root cause of the leak. While many home and property owners associate fear slab leaks due to the inevitable expense of repair, there are also severe health risks that can develop from leaks. 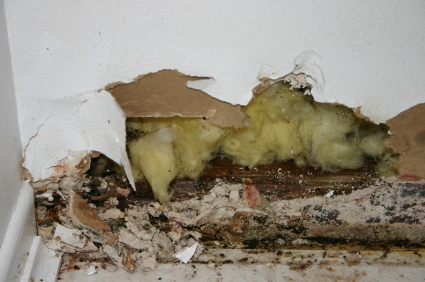 Leaking water will inevitably lead to mold and mildew. Breathing mold-saturated air can lead to long-term respiratory issues. Leaks left untreated can also lead to the rotting of supporting structures in your home, hurting your property value. Some of the most common signs of a slab leak are: the sound of water when all faucets are off, excessive mold or mildew, an abnormally high water bill, consistent low water pressure or a hot spot on the floor. If you notice any of these issues, it’s advisable to call your plumber immediately to confirm the location of the leak and repair it before further damage is done. Repairing a slab leak is not as trying of a process as you may think. 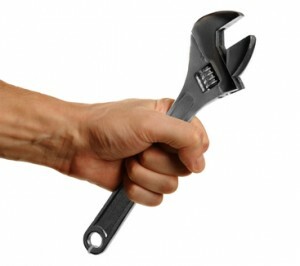 Most repairs can be done within three days. 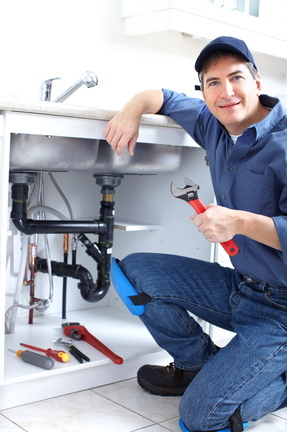 During the first day, your plumber use electronic equipment to detect the actual source of the leak, as well as any outside factoring contributing to the occurrence of the leak. On the following day(s), your plumber will repair the actual leak. In rare cases the leak may not be able to be repaired quickly. In that instance, your plumber will install a temporary water line so that your water being shut off doesn’t affect your day-to-day routine. A slab leak is an unfortunate occurrence. However, when working with a capable plumber you can repair the leak in a timely, cost-effective manner that will prevent future damage. Are you seeing signs of a slab leak in your Cedar Falls home? No time to waste here, Call Dalton Plumbing, Heating, & Cooling Inc. at (319) 266-3513 to see what is causing that slab leak.